During your child’s homework time, where they choose to sit and complete their studies is a significant contributing factor to how productive that time will be. If you have noticed a trend in which your student will regularly sit with you while you cook dinner or settle on the couch in front of the television when it comes time to review their notebook or complete their homework, this post from The Tutoring Center, Cypress Creek Plaza can help you to create a space which will encourage learning. This one is an easy tip, right? It’s simply just a matter of removing all of their electronic devices from the study space, potentially even their computer, during their homework time. While this is definitely a good start, in many cases, these devices aren’t the primary distractions for a student trying to complete their studying. Read through this list and consider if these occur in your home during study time. The sound the vacuum cleaner makes as you complete your chores. Similarly, the banging noise it makes when you clean against the wall and the carpet. Noises from the kitchen while dinner is being prepared. Your neighbor's children playing in the yard. Your other children playing and running around the house. The noise from the television, even if it is muffled or at a low volume. Yard maintenance being completed in your yard or in the street. If you have a laundry room which is large enough for a small table and a chair and is at the back of your home away from noise, this can work as a great homework space for a few hours each evening. If you have a back porch and your backyard is quite serene, consider setting up an outdoor learning space for your child to use. You aren’t limited to these ideas, of course. Any place around your home or the outdoors which is free from noise and distractions can work as a temporary study space, remembering that you only need to set it up for a few hours each evening. If your child is struggling with their homework, be it due to distractions or a general struggle with their lessons, tutoring in Cypress Creek Plaza can help. By providing students with a distraction-free learning space, students who attend tutoring at Cypress Creek Plaza can focus entirely on their homework while being aided by a professional learning expert. Book your free initial diagnostic assessment at The Tutoring Center, Cypress Creek Plaza today by calling (832) 566-7912 to learn more about the benefits of tutoring in Cypress Creek Plaza and how subject-focused tutoring programs can help your student succeed. Of course, if there is anything else they need then be sure it is at arm’s reach and that your child doesn’t need to get up to retrieve it. The last tip is in regards to lighting and is important if you choose a learning space as mentioned in the first tip which may not be set up for studying. Students need to be able to see what they are studying, however, the lighting doesn’t need to be so bright that it gives them a headache or makes it difficult to focus on text. For example, in the first tip, there was a suggestion about using your laundry room. These spaces often include a single bulb in the ceiling to provide as much light as possible. However, this isn’t always the best lighting scheme for a studying student. 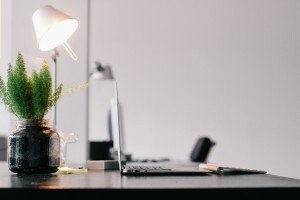 Items like a small desk lamp or even moving one of your household standing lamps into the space temporarily can work to achieve a lighting level which will help them to focus and prevent headaches and eye strain. Whether your student needs help with specific lessons, their homework, or they want to raise last year's C to an A+, tutoring in Cypress Creek Plaza can help. Speak with a trained learning professional today at The Tutoring Center, Cypress Creek Plaza by calling (832) 566-7912 to learn more. During your free initial diagnostic assessment, a tutor can answer any questions you have about the benefits of tutoring in Cypress Creek Plaza, and how subject-focused tutoring programs can help your child achieve high grades.